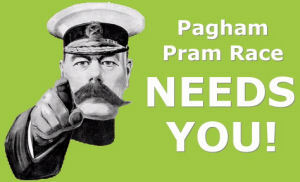 The Pagham Pram Race Committee has been raising and distributing money to Local Good Causes since 1946.
please complete our online application form by clicking the link below or download a manual form. All applications must be received by midnight on the 31st December 2018. All applications for a Helping Others Grant received by midnight on the 31st December 2018 will be considered by the Pram Race Committee early in 2019. All applications will be assessed against the following criteria. Was the application form received before midnight 31st December 2018 ? 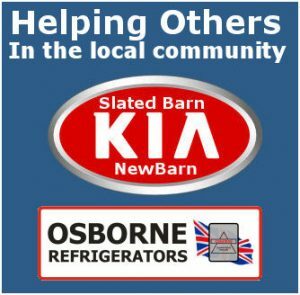 Is the recipient a local organisation and or a local person who will benefit in some way? The grant is not for a blanket amount to cover expenses ie: heating, rental, bills or general running costs. Will any employee receive any monetary gain from a Helping Others Grant ie: commission, bonus or wage? Is the application for an item that is needed rather that just wanted ? Is the applicant receiving relevant funding from other sources? Costs towards care and support will be considered. Any grant received must be ring-fenced and to be solely and exclusively used for the purpose it was applied for. The Pagham Pram Race Committee reserve the right to ask for proof that grant monies have been spent in accordance with the application submitted.